You Are Here: Home > What is a CPO INFINITI Car or SUV? The INFINITI CPO program at Douglas INFINITI delivers peace of mind by combining a high-quality luxury vehicle with a pre-owned value. When you shop a certified pre-owned INFINITI, you’ll know you’re getting a vehicle that’s fewer than 6 years old with fewer than 70,000 miles on the odometer. For an INFINITI to become certified, it starts with its history. INFINITI retailers scour multiple databases to confirm a clean title history, while a CARFAX® Vehicle History Report™ checks more than a dozen title categories to ensure the vehicle is clean. Once the title and vehicle history report are verified, the vehicle will be inspected by trained INFINITI technicians. Our Certified Inspection Checklist covers more than 167 items, such as the engine, drivetrain, chassis, brakes, steering, and suspension, to ensure everything operates as it is designed. We also run the vehicle through a road test and an additional detailed inspection prior to certifying it as INFINITI Certified Pre-Owned. Whether you’re looking for the performance of a Q60 coupe, comfortable interior of the QX60, or the luxurious amenities of the Q70, the INFINITI Certified Pre-Owned Program has the vehicle for you. 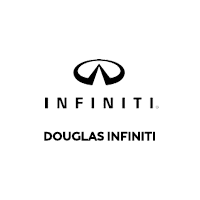 When you’re in the market for INFINITI certified used cars, head to Douglas INFINITI in Summit, New Jersey, to explore our vast inventory. * Vehicles within new vehicle warranty period with less than 15,000 miles: 6 years/75,000 mile limited warranty vehicle’s original new vehicle in-service date. Vehicles within new vehicle warranty period with more than 15,000 miles: 6 years/unlimited mileage limited warranty from vehicle’s original new vehicle in-service date. Vehicles outside of new vehicle warranty period with more than 15,000 miles of New Vehicle Warranty: 2 years/unlimited mileage limited warranty from CPO purchase date INFINITI warrants to the purchaser of this INFINITI vehicle-in accordance with and subject to the terms, conditions, and exclusions listed below-that INFINITI will repair or replace all covered parts on your vehicle when such repair or replacement is due to a “Mechanical Breakdown” that occurs in the United States (excluding U.S. Territories) when all other terms and conditions of this Limited warranty are met. For the purpose of this Warranty, “miles of operation” means the actual number of miles of vehicle operation based on the information available. If ever the odometer is tampered with, and/or is inoperative so that the vehicle’s total actual number of miles of operation since manufacture cannot be accurately determined by INFINITI, this Limited Warranty will be void. For the purpose of this Warranty, Mechanical Breakdown is defined as the inability of a covered part(s) to perform the function(s) for which it was designed, due solely to defects in materials or faulty workmanship. Mechanical Breakdown does not include damage due to negligence, damage caused by an accident, damage to otherwise covered parts due to failure of non-covered parts, or gradual reduction in operating performance due to wear and tear. ** For model year 2015 and prior, Basic Maintenance includes 2 – Oil & Filter Changes, plus 2 – Tire Rotations (as applicable) within the first 12 months of your CPO vehicle purchase. Beginning with some model year 2016 models and newer, Basic Maintenance includes 1 – Oil & Filter Change, plus 2 – Tire Rotations (as applicable) within the first 12 months of your CPO vehicle purchase. Please consult recommended maintenance schedule for more details as Basic Maintenance differs by vehicle and model year. *** Required SiriusXM Satellite Radio, NavTrac and NavWeather subscriptions sold separately and are continuous until you call SiriusXM to cancel. Installation costs, one-time activation fee, other fees and taxes will apply, NavTrac available in select markets. Satellite Radio U.S. service and NavWeather service available only to those 18 or older in the 48 contiguous states and D.C. Fees and programming subject to change. Subscriptions governed by Customer Agreement available at siriusxm.com. ©2016 Sirius XM Radio Inc. Sirius, XM and all related marks and logos are trademarks of Sirius XM Radio Inc. **** Roadside Assistance available for the duration of the Limited CPO Warranty. ***** Subject to availability. Available during the 4-year/60,000-mile Basic warranty or customer-paid repairs (not including collision repairs). Customer must be 21 years of age or older with a valid U.S. driver’s license. The customer must provide proof of primary insurance. Other restrictions apply to courtesy vehicle, including mileage and day-use limitations. This program is subject to change without notice at any time. ****** See your local INFINITI Retailer for details and read the warranty booklet or extended protection plan.